Microsoft’s was a leader in the phone market in the 2000s but things changed, as Windows Mobile did not keep up with iOS and Android. The Mobile OS has not seen an update in a while and has an interface that was not as good as Android. In 2014, Microsoft created a new strategy as it completed the purchase of Nokia’s phone business that was meant to catapult the company back into the top of the smartphone market but that didn’t happen. Microsoft’s phone sales have been declining at a rapid rate ever since and last year Joe Belfiore announced that Microsoft is entirely out of Windows on mobile. However, there continue to be persistent rumors that Microsoft is still working on some kind of mobile device. The Surface Phone, which appears to be cancelled, may not be coming now, but the software giant is working on foldable Andromeda. The Microsoft Andromeda will be launched as Surface Journal and not Surface Phone. Microsoft Surface strategy is about creating an innovative hardware and then allowing the OEM partners to follow the footprint, it’s likely that the company will follow the same strategy for its upcoming mobile device. Samsung says that it will continue to work on foldable phones, and “differentiate its smartphones by adopting cutting-edge technologies”. Reportedly, Samsung is nearing production of the Galaxy X, its long-rumored foldable phone, though the company seems to be equivocating on the release date. Tech giants think the future of smartphones is folding. The foldable phones have their own space in the mobile market, but it’s unlikely that most users will ditch their smartphone for foldable phones. Samsung says, “Along with these enhanced capabilities has come a demand for larger displays to provide a richer user experience. Mobile phone displays have increased in size to the point where they can now consume almost the entire viewing surface of a phone. To increase the size of displays any further would require an increase in the size of the phones themselves. This is not desirable, as users want their mobile phone to fit comfortably in their hand or in a shirt or pants pocket. As a result, dual-display devices are becoming more popular. With a dual-display device, the mobile phone or tablet can include an open, expanded position where both displays are flush so that the user feels like there is a single integrated display. In a closed, condensed position, both displays are face-to-face so as to protect the displays. In a fully-open position, the dual displays can sit back-to-back so the user needs to flip the device to view the opposing display“. Microsoft is exploring a different idea as the company has patented 60-degree rotation of the dual displays for the foldable Surface phone, while the other patent points to a device with a hinge. The tech giant last year presented the foldable phone prototypes, it is clear that folding smartphones are no longer being taken as a gimmick, but it could be a useful device for those users looking for a smartphone that has PC capabilities. A foldable phone is more or less an ultra-portable tablet. A device with a full version of Windows 10 that fits in the pocket, with the power of Continuum, could be really productive. The foldable phone with Windows 10 opens a new door of possibilities for developers. Windows Core OS, for example, is expected to introduce more tablet improvements, in other words, the experience of running two separate apps at the same time in a foldable phone. If the keyboard is attached, two users could play games together in tent mode of the device. 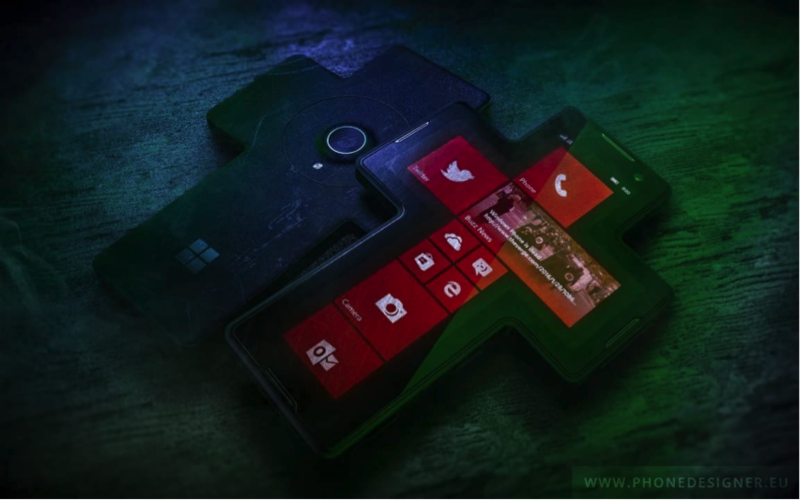 A foldable phone with Windows Core OS could do a lot more than an Android phone but is anyone interested in a foldable smartphone? With smartphone performance equalizing prices reaching $1,000, replacement cycles lengthening, and penetration growing, sales are becoming stagnant so a new form factor such as 'foldable smartphones' could emerge as an alternative. Samsung Electronics, Apple, LG Electronics, Huawei and Microsoft are joining a patent battle related to foldable smartphones. LG Electronics filed a patent on foldable smartphones in the World Intellectual Property Organization (WIPO) in 2016. But it is more appropriate to call the model a dual display smartphone than a foldable smartphone because it has two separate displays. In addition, last August, LG Electronics applied for a foldable smartphone design patent. Samsung Electronics has long envisioned a foldable smartphone for a long time. In 2011, Samsung Electronics unveiled a prototype of a foldable smartphone, which did not damage the display even after being folded 100,000 times and the brightness of the folded part dropped only 6%. To mass-produce foldable smartphones, their internal parts cannot be damaged when they are folded and Samsung Electronics filed a patent on moving internal parts of a folded part to a non-folded part when a display is folded. In addition, Samsung Electronics has filed various patents on foldable smartphones. There have been constant flood of rumors that Samsung Electronics created the brand name 'Galaxy X' for a foldable phone to be launched next year. There have been reports that the first wave of foldable smartphones will make its debut at the end of 2018 as a number of brand vendors are accelerating their R&D efforts on related projects, but we have heard that before. Samsung Electronics has applied patents related to foldable smartphones in Korea and the US and is expected to unveil its roadmap for its foldable models in 2018, according to a Korea-based Etnews report. Apple has also applied for a number of patents for clamshell smartphones, including one for a tri-fold display design, according to the watchers, adding that Apple could also use its folding technology in products other than smartphones. Huawei has applied for a patent for a single display screen that can be folded in the middle. The application for this patent was submitted in September 2017. Huawei is expected to unveil its first foldable smartphone by the end of 2018, making it the first brand vendor to launch such device with a foldable display from LGD. LG Electronics also applied for a foldable smartphone design with the WIPO in August 2017. LG's foldable smartphone design calls for the connection of two screens, and the screen can display information such as time, weather and battery level when folded. Other major smartphone players in China, including Oppo, Lenovo and ZTE, are also joining the ranks in developing foldable smartphones. Oppo has applied patents for foldable smartphones first in 2017, and again for other patents in 2018, with patent authorities in China. Lenovo has unveiled a foldable smartphone prototype whose display can be extended to 7.8-inch from 5.5-inch when opened. Lenovo has not announced a timetable for the production of the foldable smartphone. ZTE has unveiled a foldable smartphone prototype with its screen connected by two pieces of display panels at MWC 2018, although the prototype is hardly a truly foldable model. Market researcher’ Strategy Analytics are hedging and say that if foldable phones are produced, global shipments could total 700,000 units in 2019 and expand to 30.4 million in 2021 and to 50.1 million in 2022. DSCC and IHS also have comparable forecasts.